Fox Cottage is a pretty three bedroom detached cottage situated in Chilton Polden, which has been fully refurbished. It is just 8 miles from the sandy beach at Burnham on Sea on the north coast of Somerset. The nearest shop is 1/4 mile away. The cottage is laid out over two levels. Downstairs thre is a comfortable living room with woodburning stove, a spacious dining room with a fireplace and a large rug over wooden floors, a large kitchen/diner with beamed ceiling, a utility room, garden room and separate cloakroom with toilet. Upstairs there are two double bedrooms and a twin bedroom as well as a bathroom with toilet and separate shower room. 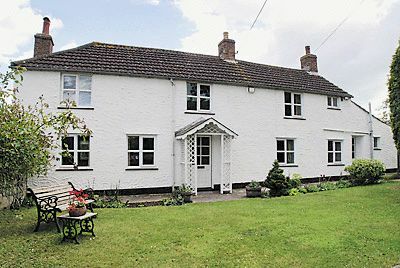 The house also has a small enclosed garden with patio furniture, with lovely country views.